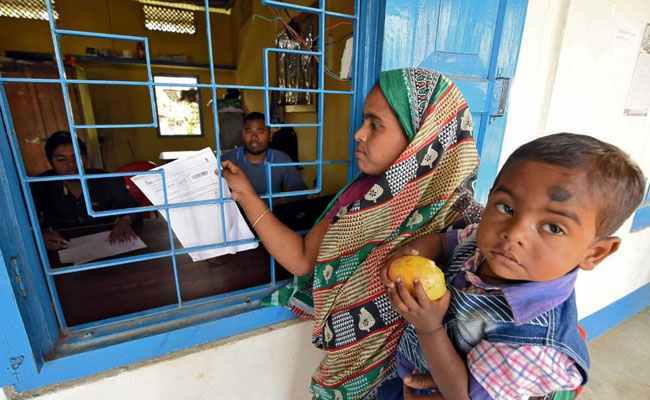 What is the Assam NRC draft, which is now 40 lakh illegal citizens? This is the first time that the people in the state can get information about illegal living. In Assam, the Assam accord in the state is slightly different from applicable citizenship law. The National Register of Citizen has been released in Assam today. The new draft contains addresses and photos of all Indian citizens settled in Assam. In the total 3.29 crore applications, names of 2.89 crore people have been found to be eligible for inclusion in the National Register. At the same time, 4 million people were not found a legitimate citizen. Although this is not the final list it is a draft. Those whose names are not included in this draft can claim for it. This is the first time that the people in the state can get information about illegal living. In Assam, the Assam accord in the state is slightly different from applicable citizenship law. According to this, people entering the province till midnight of March 24, 1971, will be considered as Indian citizens. 4 million people living in Assam, illegal citizens, NRC, 2.8 million legal citizens were counted. At the same time, since the introduction of this draft, politics has also started. Once the Rajya Sabha was adjourned due to the tumultuous rage of the TMC MPs, the party chief Mamta Banerjee fired a false statement in a press conference. They said that these people will now be forced to force them out. Banerjee said that divide and rule the government's policy. Among the comments, Home Minister Rajnath Singh said, "It is a draft list, not a final list. If anyone's name does not come in the final list, even then he can go to the foreign tribunal. No action will be taken against it, so no one needs to panic. " The Union Home Minister has said that there is no need to panic anybody because no names of those who are not in the list will be taken against them for any kind of penal action. The Union Home Minister said, "Some people are trying to create an environment of fear unnecessarily, this is a fair report and no wrong information should be spread."